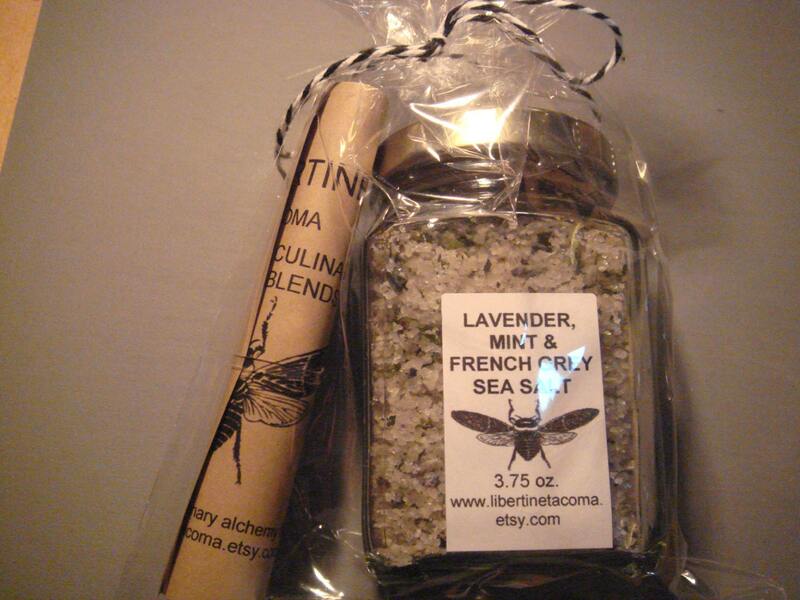 I have blended Sel de Guerande French Grey Sea Salt with aromatic lavender and spearmint leaves to bring you a unique gourmet salt blend. This blend is designed for chicken, pork, fish and as a dessert topper such as sprinkled lightly on top of short bread cookies. 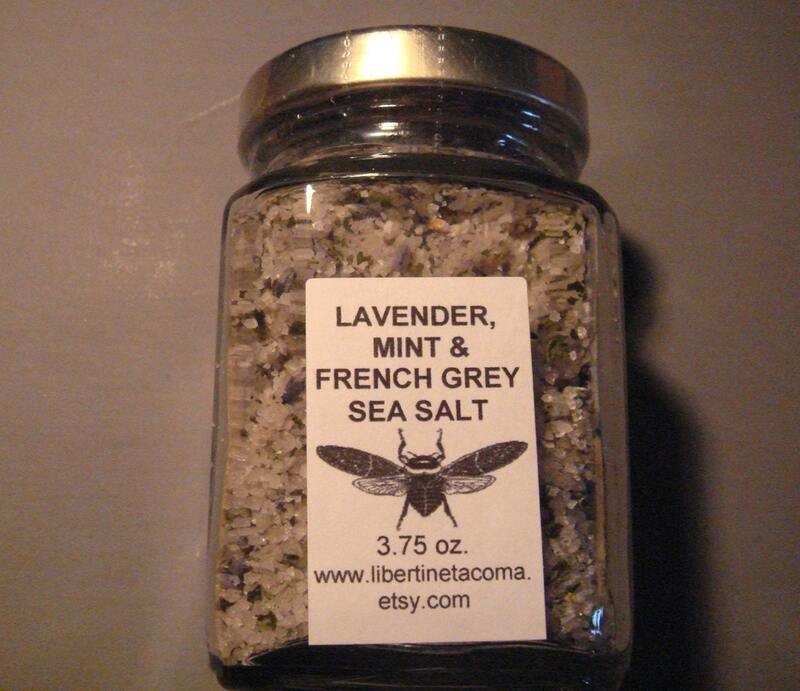 This is a very aromatic salt and has a vibrant flavor and a great finish with the French Grey Sea salt. 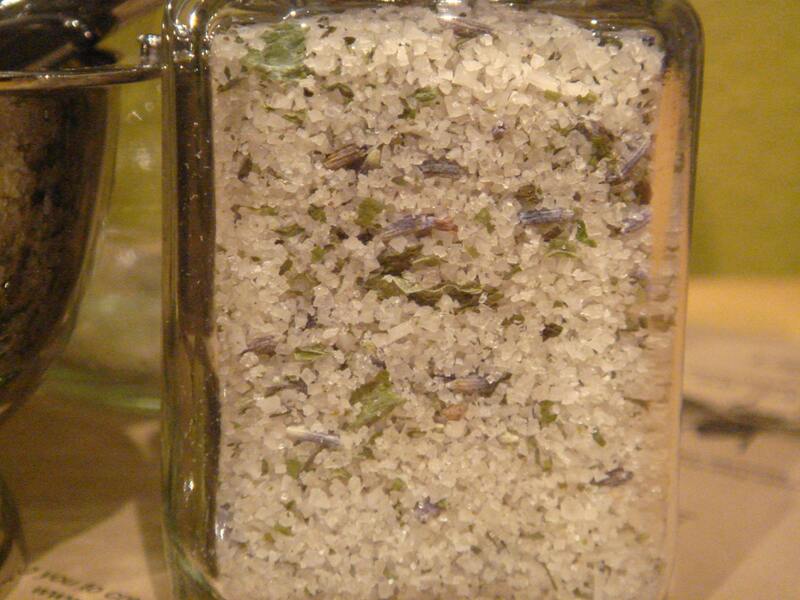 This French Grey Sea Salt is a moist sea salt that has been hand harvested in Guerande, France since the 15th century. 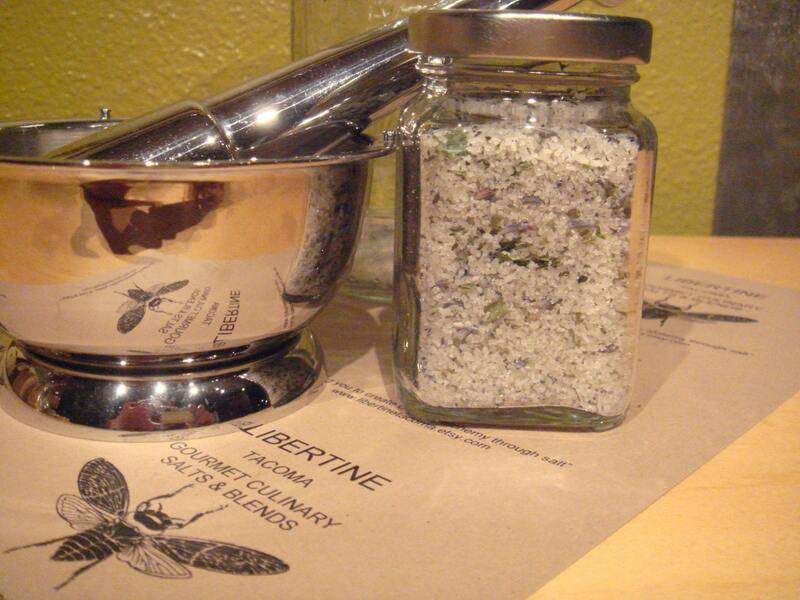 It is considered to be one of the most revered sea salts by experts in the culinary industry. It has a grey tint due to the clay that is present in the salt marshes where it is harvested. It also contains trace minerals potentially beneficial to our health. The flavor is a true balance of rich and bitter which is a perfect complement to the lavender and mint. Due to it has a natural 8% moisture content which will help keep delicate meats moist while cooking. A small amount goes a long way as it has a potent salt flavor. Ideal for: Roasted chicken, pork or fish, Sprinkled lightly on Desserts such as shortbread cookies or custard.